Lionel has revealed he was surprised to see Cristiano Ronaldo move to Juventus. Cristiano Ronaldo decided to leave Real Madrid for Juventus in July bringing an end to his nine-year stay with the club. Many fans were shocked by the move and even some of his teammates couldn't believe he was leaving. However, Real Madrid has started the season very well even with the departure of their star man. 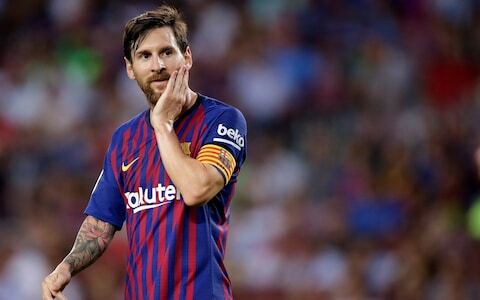 Lionel Messi has now spoken about Ronaldo's move and also reveal Real Madrid are not good without the Portugal captain. Lionel Messi also spoke about Barcelona new signing Arturo Vidal comparing him to Xavi and reveal the midfielder is a type of player who doesn't lose the ball.